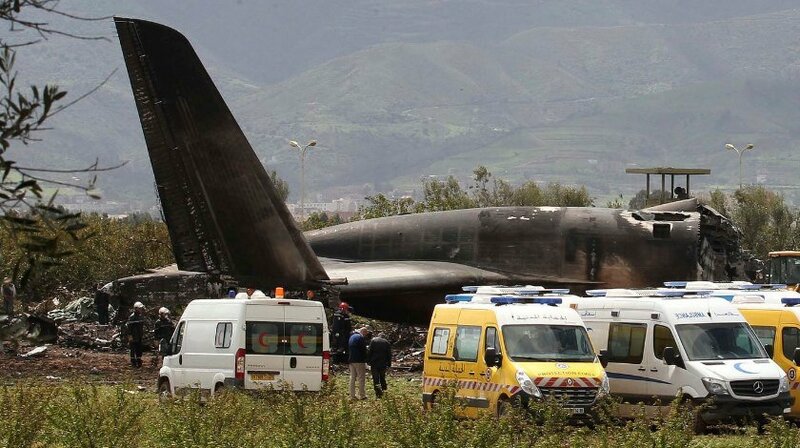 An Algerian military transport plane crashed Wednesday shortly after taking off from an air base south of the capital, Algiers, killing at least 257 people, according to the Algerian Defense Ministry. The victims included 247 passengers — most of them soldiers and their families — and 10 crew members, the statement said. There was no mention of any survivors. The army’s chief of staff, Maj. Gen. Ahmed Gaid Salah, went to inspect the site and ordered an investigation, the Ministry of National Defense said in a statement. The Polisario Front, an Algerian-backed movement that seeks independence from Morocco for the Western Sahara region, said 30 of its people were among those killed. They were refugees, including women and children, who had received treatment in Algerian hospitals, the group told the Associated Press. Victims’ remains were being transported to a military hospital in the town of Ain Naadja for identification. 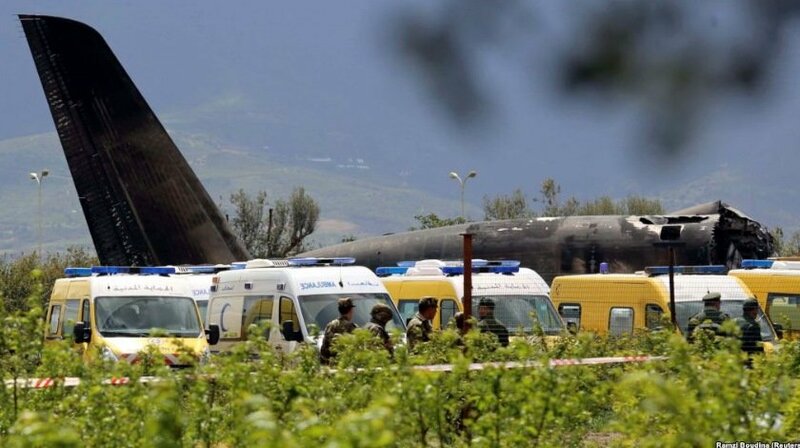 Algeria’s Ennahar TV showed images of dozens of ambulances arrayed in a verdant field, as cranes leaned over the blackened fuselage to remove wreckage. Dozens of body bags were lined up on the ground. The cause of the crash was not immediately clear. Witnesses told Reuters news agency they saw flames coming from a wing before the plane went down in farmland just outside the Boufarik military air base. The Russian-made Ilyushin-76 transport plane appeared to swerve to the right to avoid a populated area before it crashed in an empty agricultural field, several people said. Mohammed Slimani, who works at a school in the nearby town of Blida, said he heard an explosion and raced to the scene. The plane was headed to the remote border town of Tindouf, the site of refugee camps for people fleeing the decades-long conflict in the Western Sahara, before traveling on to the city of Bechar, in Algeria’s southwest. The toll Wednesday surpassed what had been the nation’s deadliest aviation accident, when in July 2014 an Air Algerie flight from Burkina Faso to Algeria slammed into the Malian desert. All 118 passengers and crew were killed. Algerian President Abdelaziz Bouteflika declared three days of national mourning.